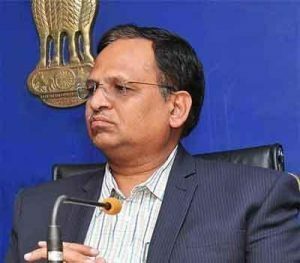 “Delhi govt will bear the expenses of treatment in pvt hospitals of people injured in road accidents, victims of burns and acid attacks (sic),” Mr Jain tweeted. “Aim is to save as many lives as possible. Precious time is lost when long distances are covered to take the victims to a govt hospital (sic),” he tweeted, adding, “Often pvt hospitals either don’t admit road accident victims or simply stabilise the patients before sending them off to a govt hospital (sic)”. Why private Hospitals , and not Government Hospitals? It is good move to give them more compensation . They should be even provided Jobs in GOVERNMENT sector. The private hospitals , specially the corporate are more likely to Hick up the cost of the treatment by several folds . Since they have taken several benifts from Government , they should treat these unfortunate victims free of cost. And Majority of the consultants have got their degrees by the Government Medical colleges at Free of cost.